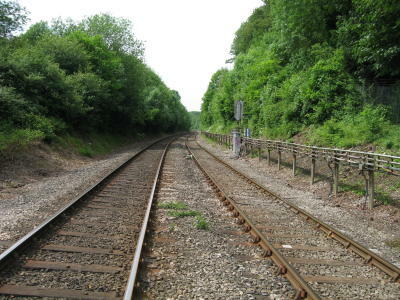 To the west of Amersham Station, beyond the stabling sidings is a public foot crossing of the railway line. 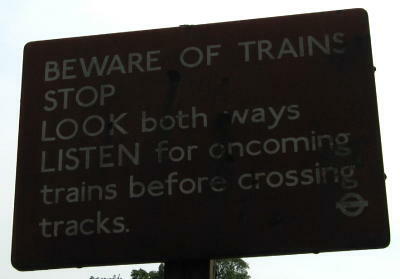 The above view is from the crossing towards Amersham station. 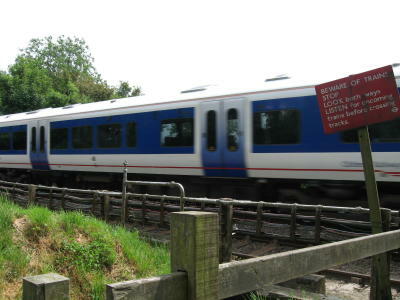 An Marylebone to Aylesbury service passes the foot crossing towards mantles Wood junction, the end on junction of London underground and Network Rail track. 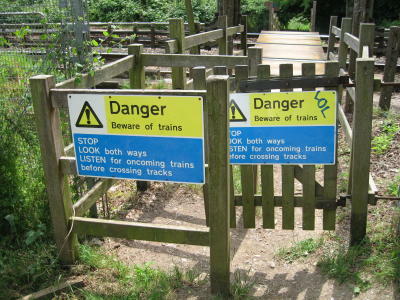 Is this crossing the only public crossing of London Underground track? The history of the footpath is not known, but one would assume it is an old right of way perhaps linking Chesham to Amersham. 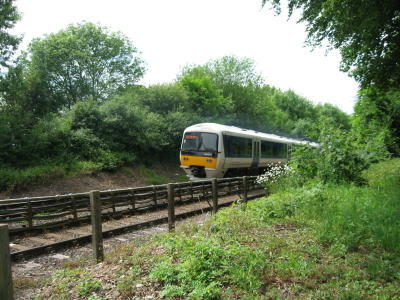 before the Metropolitan railway arrived in Amersham, the land around Amersham station was common land, with many old footpaths crossing it. many of these footpaths survive between the houses which have been built since. 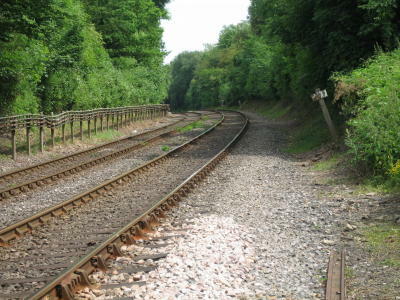 The path that crosses the line leads on down to Amersham Old Town, which would have been the only part of Amersham with significant population when the line was built, however, the path leads the western most end of Amersham, not the centre of the town.